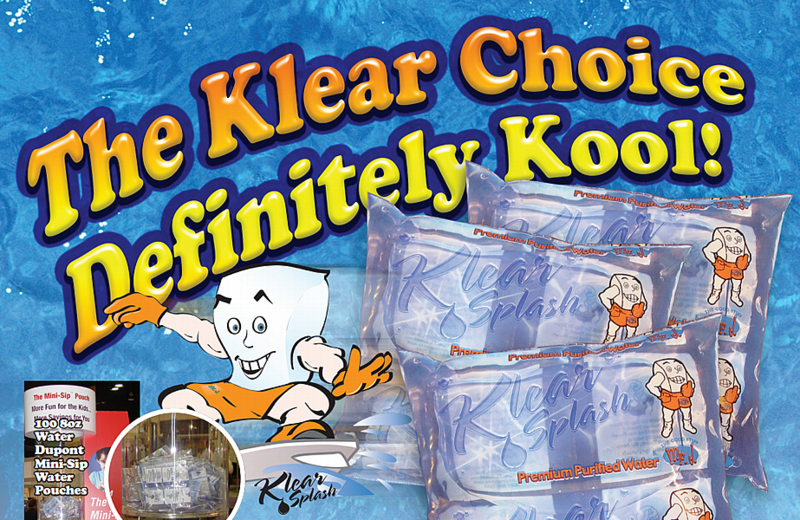 Mr. J's Klear Splash Mini-Sip Pouches contain 8 ounces of Premium Purified Water, which originates from a State approved Natural Source. For your drinking enjoyment! 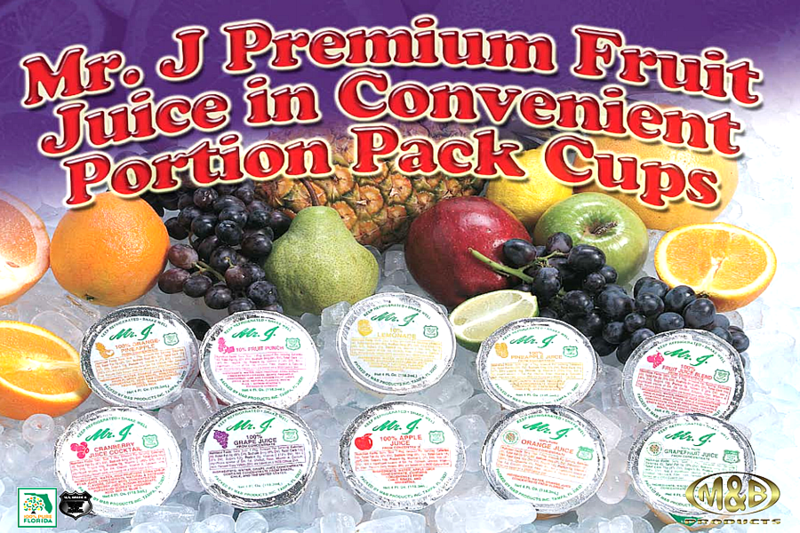 The Mr. J Premium Water in 8 oz pouches can sell to your customers for 25 to 30 cents. fitting most managers' desired cost criteria. Purified Water: Processed thru Micron Sieves Reverse Osmosis passed through Ultra Violet Light & Ozonated for your protection. 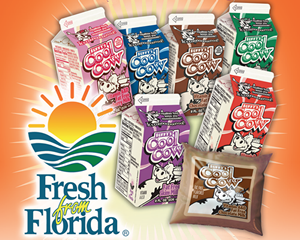 Right here in Florida is our own dairy farm where our cows are milked, so it just doesn't get any fresher that this. And, we've created an explosion of healthy choices in exciting flavors to make a meal nutritionally balanced, with uncommonly fun flavors. 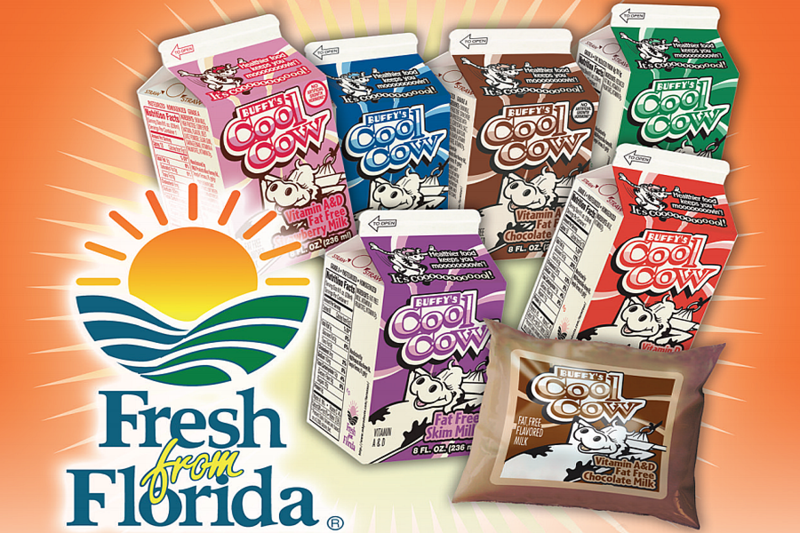 Make the choices you offer "Fresh from Florida!" Fat Free Skim Milk: FAT FREE MILK, VITAMIN A PALMITATE, VITAMIN D3. 1% Low Fat Milk: LOWFAT MILK, VITAMIN A PALMITATE, VITAMIN D3. 2% Reduced Fat Milk: REDUCED FAT MILK, VITAMIN A PALMITATE, VITAMIN D3. Vitamin D Whole Milk: MILK, VITAMIN D3. Fat Free Chocolate Flavored Milk: NONFAT MILK, HIGH FRUCTOSE CORN SYRUP, COCOA (PROCESSED WITH ALKALI) CORN STARCH, SALT, CARRAGEENAN, GUAR GUM, NATURAL FLAVOR, VITAMIN A PALMITATE, VITAMIN D3. Fat Free Strawberry Flavored Milk: NONFAT MILK, HIGH FRUCTOSE CORN SYRUP, NATURAL FLAVOR, BEET JUICE POWDER, GUAR GUM, CARRAGEENAN, VITAMIN A PALMITATE, VITAMIN D3. When we started the Limited Edition line, we never knew it would be this popular! Are they a healthy choice? Or a fun way to make your cafeteria exciting? The answer is: "YES!" We've taken all of the the healthy choice issues and combined them with fun seasonal juice flavors, and came up with the Limited Edition lineup; flavors are constantly being rotated, keeping the doors swinging, and the cash registers ringing! Get some in your cafeteria and watch the action. 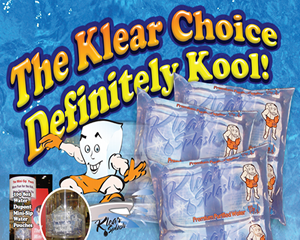 *Available year round as a frozen Product only in both 4 and 6 eco cartons only. Peach: Water, Pear Juice Concentrate, Apple Juice Concentrate, Natural Flavor, Vegetable Extracts (Black Carrot, Annatto), Calcium Lactate, Concentrated Peach Juice, Ascorbic Acid (Vitamin C),Vitamin A Palitate, Vitamin D3. Apple Cherry: Water, Pear Juice Concentrate, Apple Juice Concentrate, Natural Flavor, Vegetable Extracts (Black Carrot, Annatto), Calcium Lactate, Concentrated Cherry Juice, Ascorbic Acid (Vitamin C), Vitamin A Palmitate, Vitamin D3. Green Apple: Water, Pear Juice Concentrate, Apple Juice Concentrate, Natural Flavor, Vegetable Extract (Turmeric), Calcium Lactate, Ascorbic Acid (Vitamin C),Vitamin A Palmitate, Vitamin D3. Blue Raspberry: Water, Fruit Juice Concentrate, Calcium Lactate, Ascorbic Acid (Vitamin C), Natural and Artificial Flavors, Blue #1, Vitamin A Palmitate, Vitamin D3. Tropical Island Splash: Water, Pear Juice Concentrate, Apple Juice Concentrate, Natural Flavor, Vegetable Extracts ( Annatto), Calcium Lactate, Ascorbic Acid (Vitamin C), Vitamin A Palmitate, Vitamin D3. 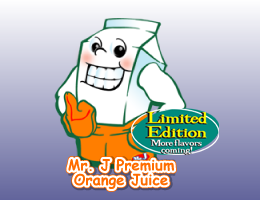 Mr. J Premium quality 100% fruit juice and fruit juice drinks are packaged under U.S.D.A. Continuous Inspection. In addition, we meet the "Grade A" requirement for those flavors which have established Grade A standards.Mr. 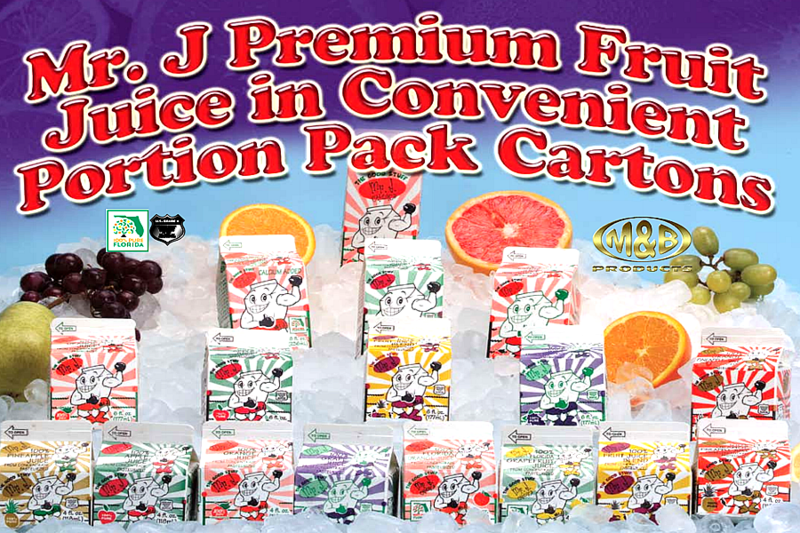 J offers a variety of portion control juices made from the highest quality juice concentrates. No sweeteners or preservatives are added to our pasteurized 100% juice which assures you of consistent dependable quality. 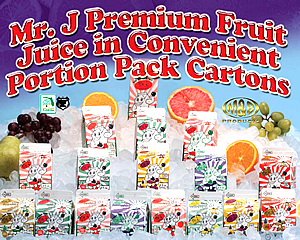 Mr. J Premium quality 100% fruit juice and fruit juice drinks are packaged under U.S.D.A. continuous inspection. In addition, we meet the Grade A requirement for those flavors which have established Grade A standards. Mr. J offers a variety of portion control juices made from the highest quality juice concentrates. No sweeteners or preservatives are added to our pasteurized 100% juice which assures you of consistent dependable quality. Dupont Mini-Sip Juice Pouches reduces garbage space by over 70% and reduces weight by 80%. 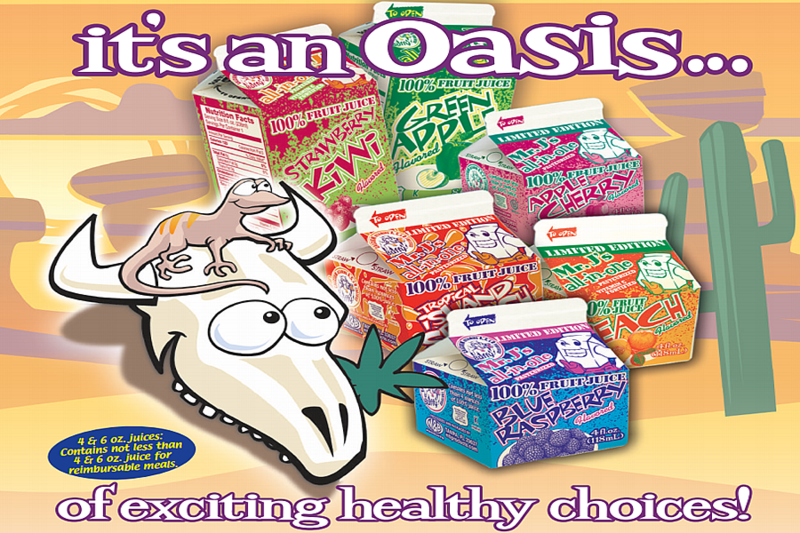 The Mini-Sip packaging is easy for all age groups to use. 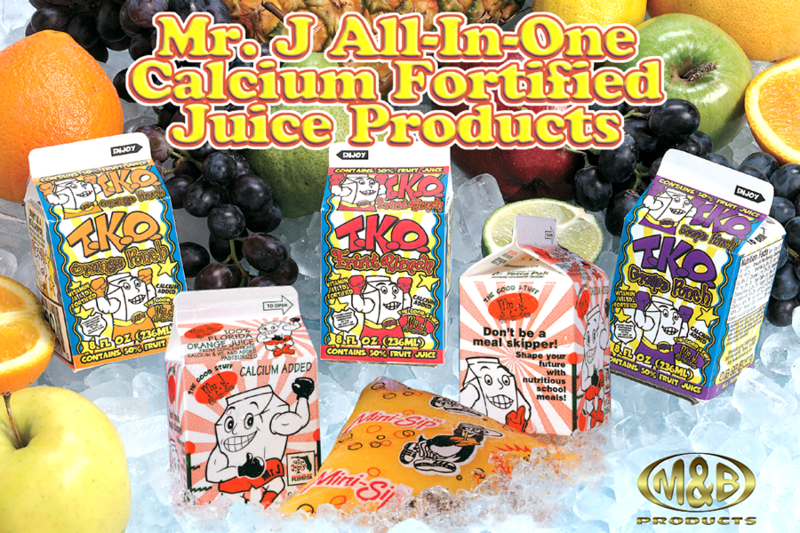 Mr. J Calcium and Vitamin A & D Fortified Fruit Juices are an excellent choice for those who are lactose intolerant. By serving Mr. J Calcium and Vitamin A & D Fortified Fruit Juices you are getting the Calcium and Vitamins that you would receive from milk, without having the negative effects of milk products. Mr. J Calcium and Vitamin A & D Fortified Fruit Juices are packaged under continuous U. S. D. A. inspection. In addition, we meet the "Grade A" requirements for those flavors which have established "Grade A" standards. 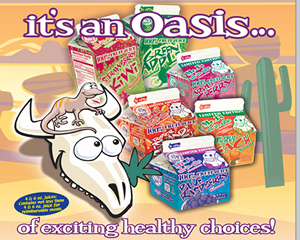 No sweeteners or preservatives are added to our pasteurized Calcium and Vitamin A & D Fortified juices. We use only 100% fruit juice which assures you of consistent and dependable quality juice products. Mr. J's Frozen Dessert Bars are the Coolest Bars Around! 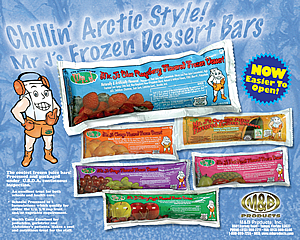 Mr. J Frozen Dessert Bars are conveniently packaged in in 2 formulations which qualify either the 1/4 or 3/8 cup fruit and/or vegetable requirements. 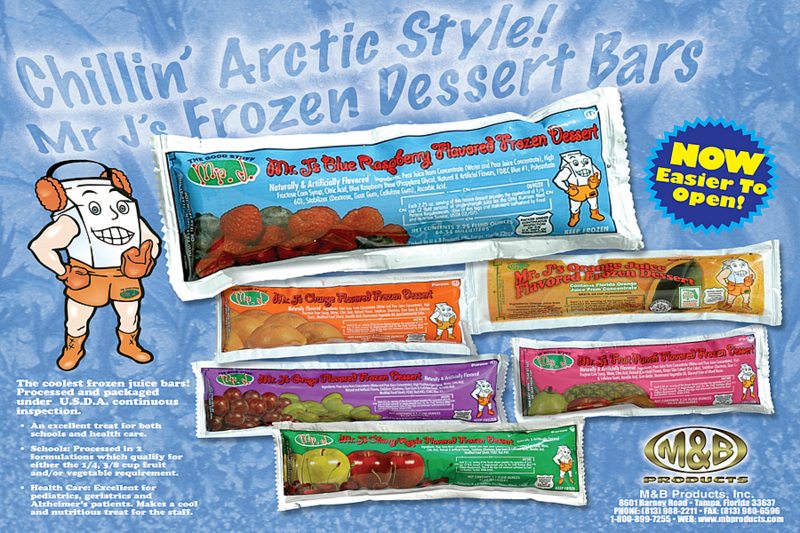 Mr. J Frozen Dessert Bars are CN Labeled and Processed and packaged under U.S.D.A. 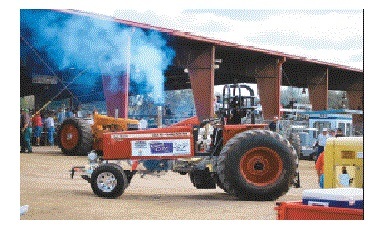 Continuous Inspection. 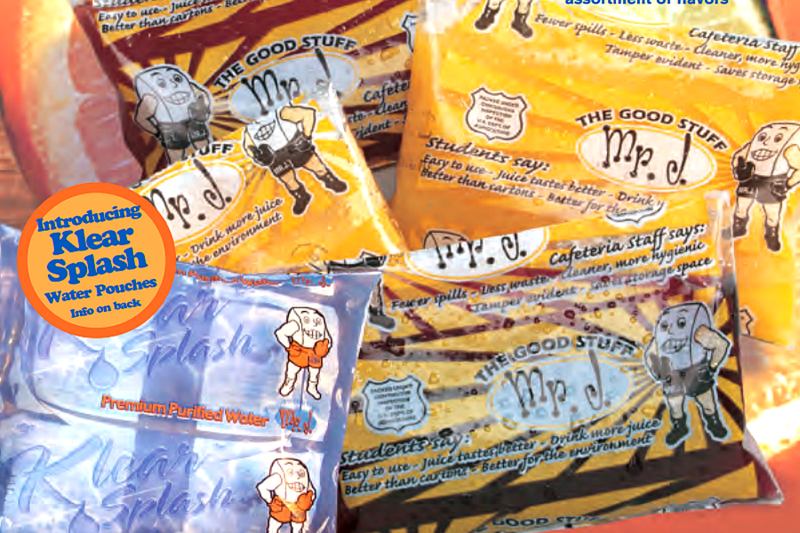 Mr. J Frozen Dessert Bars are sure to be a Chillin' Treat for your students. Orange Juice Flavored: Fortified with Calcium, Vitamins C, A, & D orange juice from concentrate (water and concentrated orange juice), high fructose corn syrup, water, stabilizer (dextrose, guar gum and cellulose gum) and Vitamin C, Vitamin A Palmitate & Vitamin D3, Calcium, Lactate, Tricalcium and Phosphate. Orange: Pear juice concentrate (water and pear juice concentrate), high fructose corn syrup, water, citric acid, natural and artificial flavors, stabilizer (dextrose, guar gum and cellulose gum), ascorbic acid, brominated vegetable oil, apo-carotene for color. Cherry/Apple: Pear juice concentrate (water and pear juice concentrate), high fructose corn syrup, water, citric acid, natural and artificial flavors, stabilizer (dextrose, guar gum and cellulose gum), ascorbic acid, modified food starch, FD&C Red #40. Fruit Punch: Pear juice from concentrate (water and pear juice concentrate), high fructose corn syrup, water, citric acid, natural and artificial flavors, grape skin extract (for color), stabilizer (dextrose, guar gum and cellulose gum), ascorbic acid, gum arabic, brominated vegetable oil, glyceryl ester of wood rosin. Grape: Pear juice concentrate (water and pear juice concentrate), high fructose corn syrup, water, citric acid, natural and artificial flavors, stabilizer (dextrose, guar gum and cellulose gum), ascorbic acid, modified food starch, FD&C Red #40 and FD&C Blue #1. Blue Raspberry: Pear juice from concentrate (water and pear juice concentrate), high fructose corn syrup, citic acid, blue raspberry base (propylene glycol, natural & artificial flavors, FD&C Blue #1, Polysorbate 60), stabilizer (dextrose, guar gum, cellulose gum), ascorbic acid.